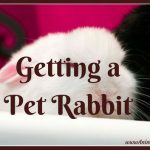 Most rabbit owners start out buying the typical rabbit hutch found at most pet stores. 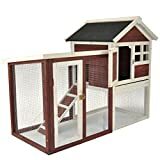 While these cages can serve as temporary housing, they are often expensive and won’t offer the room a rabbit truly needs. 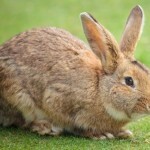 Think about it — a rabbit has powerful back legs, and they want space to use them. 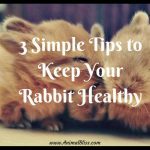 And there’s also the fact that rabbits don’t want to be right next to their litter box all day. 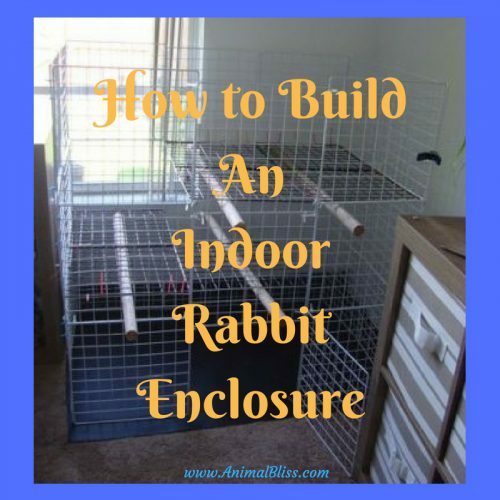 In the interest of both pet rabbits and their owners, let’s take a look at types of enclosures and how to build an indoor rabbit enclosure of your own. 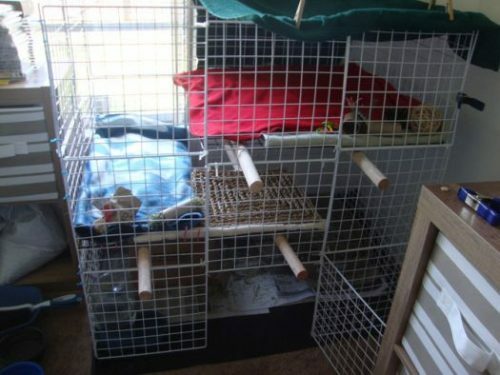 Using “NIC,” or “Organize It” cube panels, a pen can be constructed to house your rabbit indoors. This structure is a single story pen, which looks a lot like a dog pen except that it’s more square- shaped. You can leave one panel of the enclosure without zip-ties to create a door for your rabbit to go through, using a clamp when keeping the door shut. Generally, you want to make these pens 2-3 panels high, depending on how high your rabbit tries to jump. Most of the time two panels high will work just fine. You can use as much space as you want. 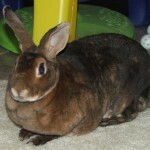 However, the minimum size recommended is at least 8 square feet of floor space according to the House Rabbit Society. Two bonded house rabbits should do fine in this size enclosure, but if in doubt you can always increase the area. For flooring, you can use a piece of vinyl cut to size. These surfaces are easy to clean and should stand up against digging, and staining — a great way to save yourself some grief if the room you’re setting up the enclosure in has carpet or hardwood floor. If you have tile flooring you shouldn’t have a problem with cleaning, and rabbits love the cool tile for lounging. Cube enclosures are the multi-level condo type of home you can build for your rabbit. These pens are three panels high and have two upper levels. You could go higher than this, but for safety sake, I would suggest staying at 3-4 levels. If you have plans for a much larger design, look into using much sturdier materials. The multi-level enclosure has four sides just like the first, but it will have more height. When constructing this type of cube be sure to leave one side of the front face unattached to the other, allowing you to open the enclosure wide for cleaning and maintenance. At the very bottom, leave a single panel un-attached on one side for a door and keep it closed use a clamp. There are different methods on how to rig up the extra levels, so I will only go over how I built my own. I attached a couple of NIC panels together, careful to measure that they would fit in the right places, and then zip-tied them together. I zip-tied the platforms at several points on two panels of the enclosure walls on the back and the side, which anchored the platform to a corner which it holds it in place. You can still open the front face of the cage without issue. Using 1¼“ wooden dowels bought from Lowe’s, I slotted them through the holes in the panels underneath the platforms I’d previously attached with zip-ties. I used two of these under each level to support the weight of platforms. The very top level needs to have a covering to prevent your rabbit from jumping out which can be achieved in one of two ways. The first and easiest way is to spread a sheet, or blanket over the top of the enclosure and use clothespins to secure it in place. 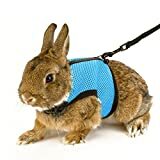 This has worked for my own rabbit for years. Just be forewarned that if your rabbit can reach any of the clothes pins, they will be chewed. The sheet or blanket used for this will need to be changed periodically for cleaning purposes. The second method is to add more panels zip-tied to the top. 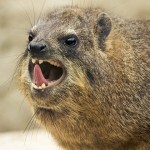 Keep in mind that this may affect the ability to open the larger maintenance door of the enclosure. However, you could leave one side unattached by zip-ties and use another wooden dowel to support this top paneling. 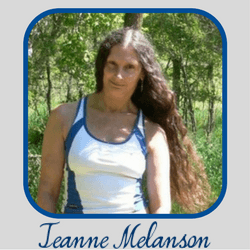 Only use the organizer cubes that have the 1½” size holes. Cubes with 3” holes can be dangerous for rabbits and other small animals. When using zip-ties, make sure their ends are facing outside the cage as these can and have caused eye damage. NIC, or Organize It Cubes – You can buy a package of 30 panels which will give you enough to build both pen and cube enclosures, though you may need a little more to add extra levels. Zip-Ties – These will help you pull everything together. Zip-ties are generally cheap and found at most hardware stores. Cut Vinyl Flooring – You can get pieces cut for you at hardware stores. Sometimes they even have already-cut samples, so be sure to ask. Scissors – To cut down excess on some of the zip-ties. 1¼” Wooden Dowels – For supporting upper levels in cube enclosures. Clamps – To hold maintenance and bunny doors shut. Measuring Tape – To make sure everything lines up right and will fit where you plan to put it. These rabbit enclosures are relatively easy to clean because of their design and ease of access. The large maintenance door can be unclamped and opened up to allow for easy cleaning. Cleaning your rabbit’s home weekly is good practice. You can use a ½ water to ½ vinegar solution as a non-toxic cleaner to wipe down the floor area. Scrub out water dishes with soap and water. I use cardboard on the upper levels of my rabbit’s enclosure. Once they become too chewed or if my rabbit soils them I replace it with new. I place towels and a blanket on top of the cardboard layers, so those get changed out each week too. I also use a small brush and dustpan to sweep up any debris on each level before I use the vinegar solution. There may come a time when you might need to replace a few panels from overall wear and tear, but I haven’t yet had to do so myself. If the need does arise, you can get more at a reasonable cost. I can’t tell you how a rabbit’s life can be much-improved with the addition of more room. It’s really not much different from humans having a bedroom, a living room, and a bathroom. 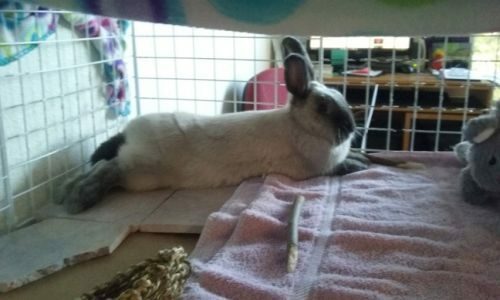 My own rabbit loves the highest level for sleeping and for getting the attention of people to ask for treats. 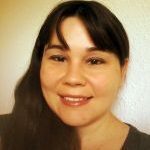 You will see more of their personalities emerge in all that space as they start picking favorite spots to eat, play, and take a lazy afternoon nap. 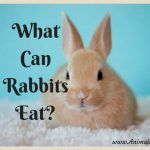 Domestic rabbits need more than most people expect, and they are rewarding to live with if you are willing to provide that for them. Combined with free time outside their enclosures where they can run and jump to their heart’s content, a well-designed enclosure with ample space will further improve their quality of life with us, their humans. And who are we kidding? Saying no to the face of a rabbit is almost impossible. So why not give them an extra bit of love with a home-built enclosure? For further links and resources on house rabbit care and housing, visit links below! 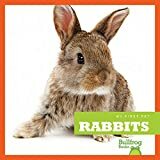 Are you interested in learning how to build an indoor rabbit enclosure for your bunny?